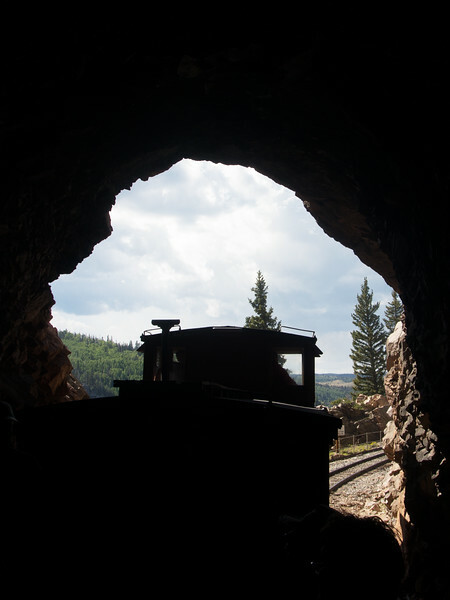 When the builders of the Rio Grande narrow gauge tunneled through one ridge alongside Toltec Gorge, the hard rock eliminated the need for any tunnel lining and resulted in its simple descriptive name. The results are apparent in this silhouette as the caboose of our photo special slips into the darkness. We're bound for the east end of the line in Antonito, CO.